So today is Friday and even though it’s an overcast day with lots of rain in the forecast I feel really good. I have so much to look forward to and it’s a very exciting time for me. Today I feel like sharing this photograph with you. I took it during last year’s visit to Florence, Italy. 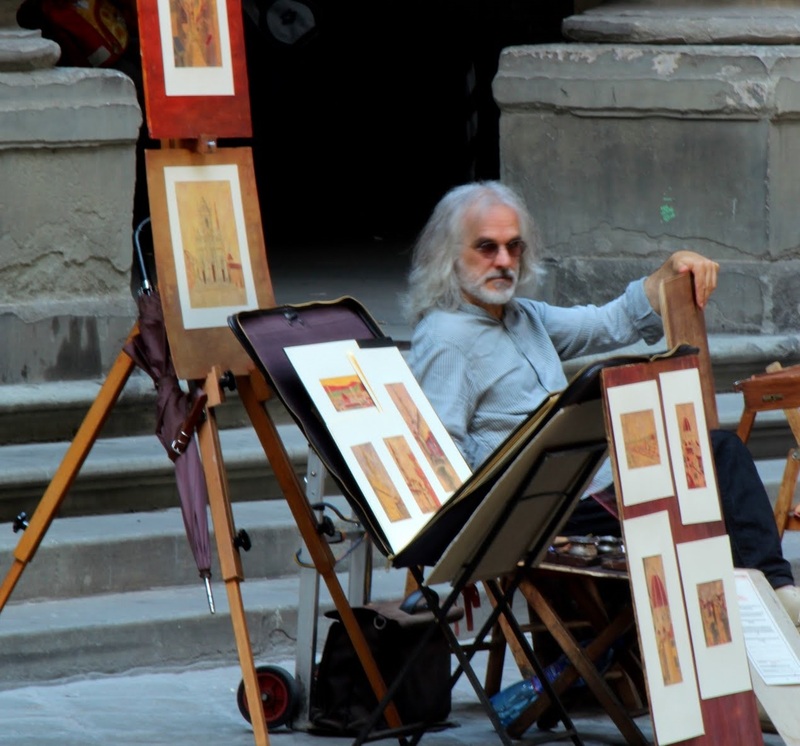 My wife and I were walking around Piazza della Signoria and when I saw this painter, I did a double-take and said to myself, “wow, that guy looks just like Sean Connery” from the 1996 action film ‘The Rock’. In retrospect I should have walked up to him and introduced myself and perhaps even take more photographs of him. But last year I was new to travel photography and I did not know what I know now. If you are interested in learning how to be a better travel photographer I recommend this article posted on the TBEX Con website written by Lola Akinmade Åkerström and always remember that your subject is also a fellow human being. Nice story – although I trust it wasn’t ACTUALLY Sean Connery? Unfortunately, no. But it sure looked like him. Thank you for stopping by. I hope you visit again. This is an appealing photograph -he has such character . Hi Cinda, those are really great photographs. Thanks for letting me know of it. Whenever I see photos of Colombia I feel great nostalgia.